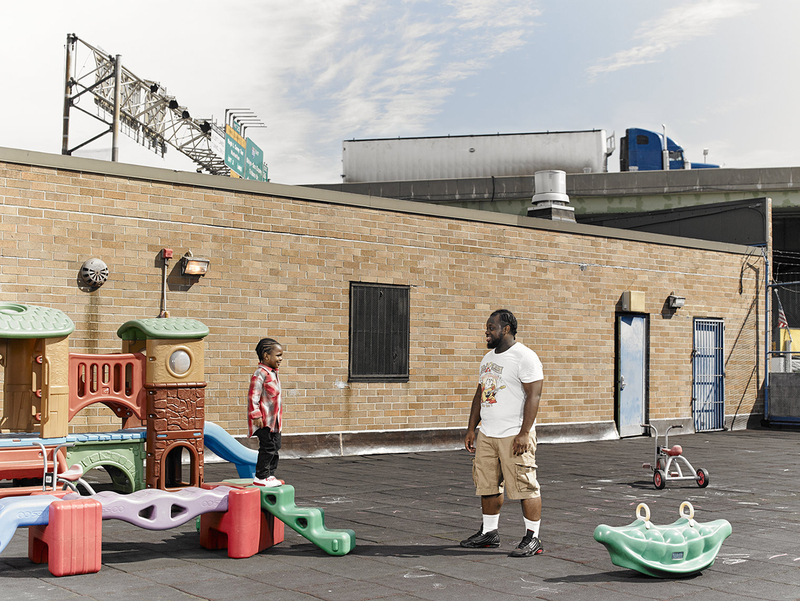 "Paul & Leiland, Philadelphia, PA, 2017"
Project Statement: Fathers & Sons - Portraits of an influential relationship. "Hector & Yansen, Islip, NY, 2015"
"Jan & Nick, Woodstock, NY, 2017"
"Matt & Caleb, Annandale, MN, 2014"
"Rocco & Julio, New York, NY, 2017"
"Trovonnie & Josiah, Brooklyn, NY, 2015"
barquitos de papel shows images of the last week of my father’s life as he and I made paper boats together, while also alluding to the role of lens-based media in the telling of our family’s stories of migration. The installation also beckons to the public to add their own paper boats to the space, inscribed with their own families’ stories of migration. The barquitos de papel collective archive continues to grow each time this piece is shown. An intense war zone during the civil war, the last time I had been anywhere near the Eastern part of the country was when I was 15, a few years before I left El Salvador to come to the United States. Seeing my cousin Janet’s picture (a.k.a. Filomena) amongst the fallen heroes and martyrs at the Museo de la Revolución thrust me into a charged psychological space where past and present merged, opening the wounds of traumas not completely healed. May peace be with you. A site-specific, interactive and transnational space created for the Art Museum of the Americas in Washington, D.C. (2006), with family photographs gathered during my Fulbright residency in El Salvador. The audio installation invites the public to add their family photos and write their own migration story onto the museum walls while a collage-like bilingual sound piece, streaming into the space, weaves together my own reflections on migration as gathered from oral testimonies and other aural impressions recorded in El Salvador, as well as from excerpts of poems that I wrote when I first came to the U.S. in 1980. Fathers & Sons - Portraits of an influential relationship. I became the father of a boy in 2012 and the change this constantly evolving relationship has brought to my life is hard to overstate. Since I myself am the single child of a single mother (I’ve never known my father), I also have to navigate parenthood without any first hand role models. 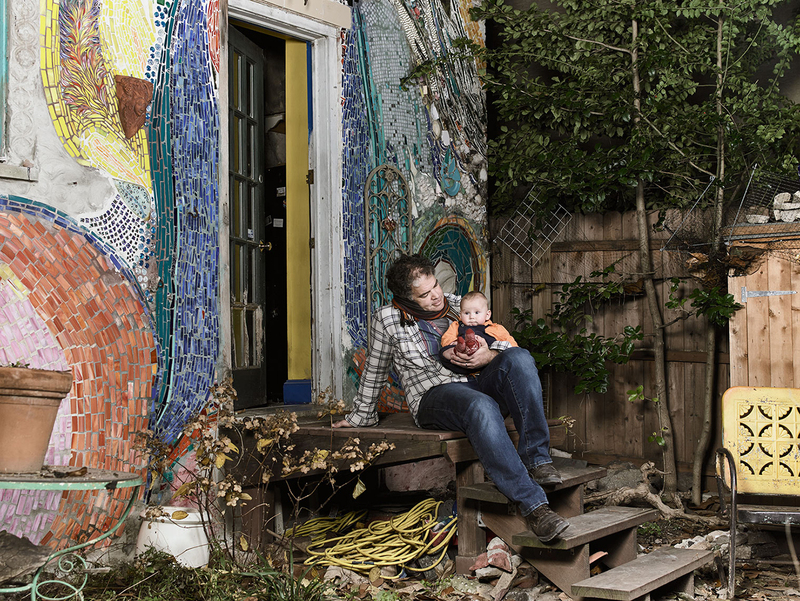 This gave me an interest in photographically exploring the relationships of other fathers and sons. We are in the midst of a dramatic evolution of gender roles and what it means to be a man. The father-son relationship is one of the most important parts of this evolution. I portray pairs from a wide variety of geographical, ethnic and socio-economic backgrounds, and at various stages in their journey together. The portraits are posed and lit. There is a certain artifice to them to acknowledge that there is a camera present yet I also want the images to feel vaguely like memories since memories are an essential bond between family members, and so the images are shot loosely to incorporate the environment with all it’s weird little details. They give the subjects a sense of place, which is integral to most family relationships. Some images are more formal portraits with the subjects acknowledging the camera, while others are inspired by typical interactions between the fathers and sons. That is decided by whichever is more effective with each pair. The ‘triptych’ presented here challenges our perceptions of multimedia storytelling, presenting the viewer/listener with stories that are both linear and asynchronous. In one, we are led through a collage of media - photo, video, sound, and take a journey through the natural world and the world of the mind. We finally reduce the experience and, by extension a life, to a single object, a folded paper boat, set adrift on an eternal sea. The ambition here, throughout these pieces, attempts to force us out of understanding through knowledge and into understanding through feeling; largely succeeding with its variety of storytelling for the eye, ear, and heart. “Fathers and Sons” is the most traditional of the work I selected, but again, it presents a consistent level of thoughtfulness and quality to a topic we should all be familiar with, family relationships. The very deliberate choices made by the artist, however, help make these images rise above their status as ‘portraits’ and turns them into stories waiting to be told, and ones that I want to hear.